Permanent Cosmetics and Paramedical Tattooing: Is it right for you? 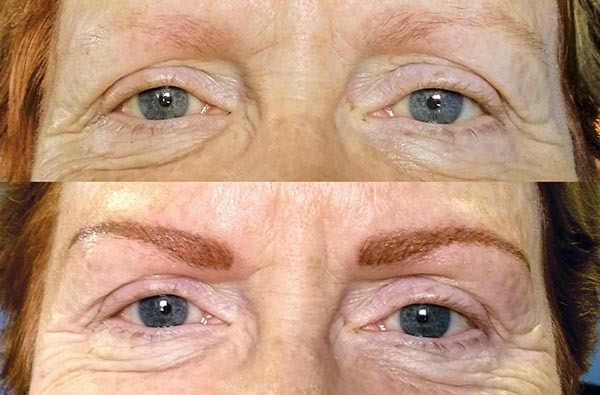 Permanent cosmetics are shade-matched pigments implanted into the skin (similar to an artistic tattoo) to minimize or eliminate the need for daily makeup application. The pigments are specifically selected to be a perfect reflection of the pink of one’s lips or the shade of one’s lashes and eyebrows. The term “permanent” is a bit misleading. “Semi-permanent” is more accurate. The treatment fades over time and typically lasts from a year and a half to three years. Traditional tattoo ink can last even longer. This entry was posted in Beauty and Fashion on January 2, 2019 by Erin Pagel. MOVING TO A NEW CITY FOR A FRESH START OPENS THE DOOR TO MANY OPPORTUNITIES. 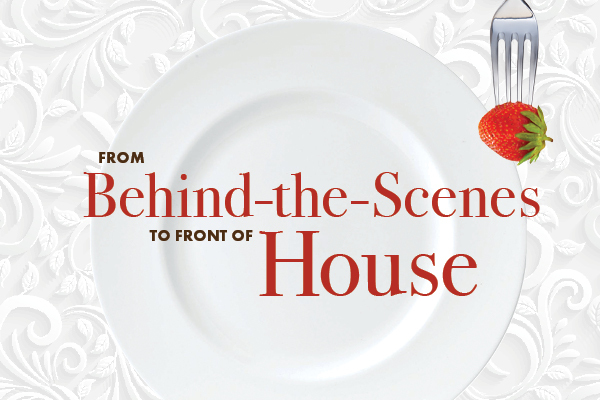 It can be difficult to try new things, but as Neale Donald Walsch says, “Life begins at the edge of your comfort zone.” Georgia Basinski has tried her fair share of new things since moving across the country to Rochester — including a first-time makeover. Basinski first read RochesterWomen magazine in the veterinarian’s office as a new Rochester resident a couple of years ago. She found the stories of local women inspiring, and they gave her insight on her new community. For 20 years, Basinski lived in western Colorado and homeschooled her kids while working part time restoring antique quilts and night auditing for a hotel. 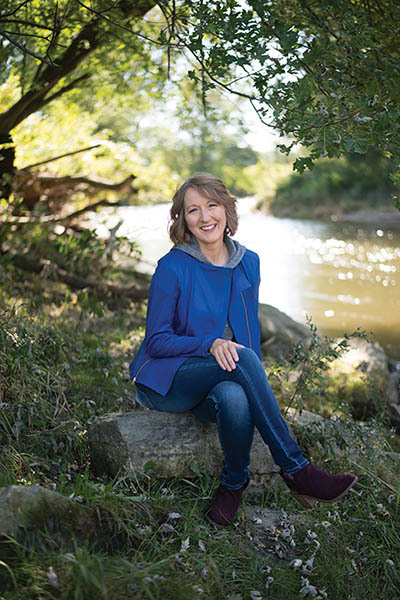 Basinski went through some life changes that left her questioning what her purpose was, so she decided to move to Rochester for a fresh start. While being a mother and grandmother gave her joy, she found a new sense of purpose through volunteering in the community. Basinski continues to enjoy spending time at Hawthorne Education Center and Bear Creek Services. 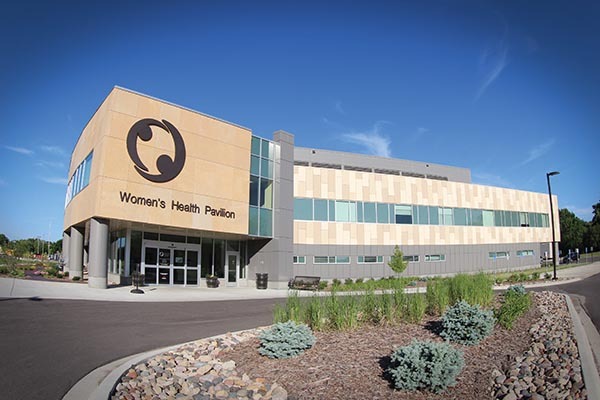 These two organizations have become very near and dear to her heart and have allowed her to make valuable connections in the Rochester community. When she is not working or volunteering, Basinski stays busy gardening, reading books for her book club, playing pickleball, swimming, attending church activities and spending time with her dog, Champ. This entry was posted in Beauty and Fashion on November 1, 2018 by Elizabeth Harris Photography by Jennifer Jones Photography. I’VE BEEN TRYING DREAMS OUT SINCE MY 36TH BIRTHDAY. AROUND THAT TIME, I WAS LEADING THE SALES BOARD AT A CAR DEALERSHIP, HAD RECEIVED A PROMOTION DESPITE DAMAGING A FEW $40,000+ VEHICLES AND WAS ENJOYING MY WORK. IF I COULD SUCCEED AT SOMETHING I DIDN’T KNOW MUCH ABOUT, I THOUGHT I COULD BE SUCCESSFUL IN SOMETHING I DREAMED OF DOING. For the curious: The vehicle damage was caused by my errant perception when parking large SUVs. I still remember that horrible crunching noise. Both times I was pulling forward and turning left. When I was growing up, I wanted to be an actress, writer and editor of a major fashion magazine. I planned to live in Manhattan, Paris and Los Angeles whenever I wasn’t traveling. Life happened, and I’ve stayed planted in my hometown: Rochester. This entry was posted in Beauty and Fashion on September 7, 2018 by Melissa McNallan. 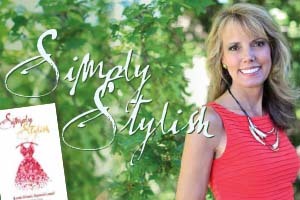 SIMPLY STYLISH: ARE YOU READY TO HIT THE “REFRESH” BUTTON? 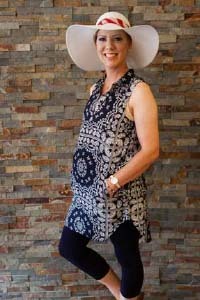 IF YOU’VE BEEN FEELING LESS THAN INSPIRED BY YOUR WARDROBE LATELY, JILL SWANSON HAS JUST WHAT YOU NEED TO LOOK LIKE A MILLION BUCKS WITHOUT SPENDING IT. AS AN IMAGE COACH, CLOTHING STYLIST, MOTIVATIONAL SPEAKER AND AUTHOR, SWANSON HAS BEEN HELPING WOMEN AND MEN IN ROCHESTER AND BEYOND FEEL EMPOWERED THROUGH THEIR PERSONAL STYLE AND WARDROBE CHOICES FOR 35 YEARS. What keeps Jill so passionate? According to Swanson, it’s seeing her clients make positive changes outside that transform into positive changes inside. 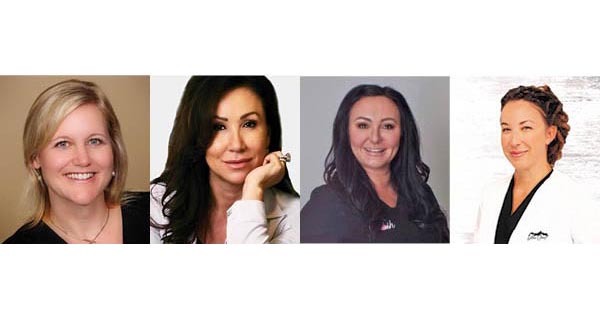 In addition to providing personal consultations, Swanson has served as keynote speaker and presenter for companies large and small regarding image awareness and team communication. Hormel Foods and IBM are just two high-profile names on a list of hundreds who have sought Jill out for inspiration and practical advice. This entry was posted in Beauty and Fashion on July 1, 2018 by SAMANTHA ERICKSON. MOTHERS DESERVE TO FEEL BEAUTIFUL INSIDE AND OUT, BUT OFTEN THAT FEELING OFTEN GETS LOST IN THE BUSINESS AND STRESS OF MOTHERHOOD. ALONG WITH ESSENCE SKIN CLINIC, WE CHOSE MAGGIE FOSSUM, ONE OF MANY DESERVING ROCHESTER AREA MOTHERS TO RECEIVE A MOTHER’S DAY MAKEOVER. Mother’s Day Makeover recipient, Maggie Fossum, says that cancer has been a blessing. It has brought her family closer together and has given her a new outlook on life. Instead of taking trips to the grocery store and cleaning up after her family, she now focuses on making memories with her husband and kids—and spending time doing things that she enjoys. She’s living again. The nomination for this makeover came as a surprise to Fossum. With a smile on her face, she recalls the phone call she received from Andrea at Essence Skin Clinic in Rochester, informing her that she had won a Mother’s Day Makeover. She said that she was “completely shocked and cried a lot of happy tears.” This was Fossum’s very first makeover, and she could not have been any more excited for the opportunity. While her nominator remains a mystery, Fossum says she is fine not knowing who it is and will always be grateful for their thoughtfulness. This entry was posted in Beauty and Fashion on July 1, 2018 by ELIZABETH HARRIS, Photography ByDAWN SANBORN PHOTOGRAPHY. Are you ready to hit the “refresh” button? Swanson knows a thing or two about how small changes can transform how people see themselves and are perceived by others. 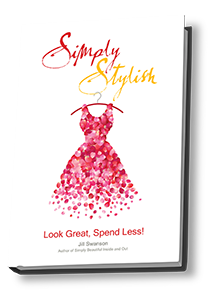 Her new book, “Simply Stylish: Look Great, Spend Less,” promises to deliver everything you ever wanted to know about looking your best. With eight no-nonsense and easy-to-connect-with chapters, you’ll soon be an expert on how to flatter your figure on even the smallest budget. This entry was posted in Beauty and Fashion on April 26, 2018 by Samantha Erickson. IN THE SOLA SALON STUDIOS SHOPPES ON MAINE LOCATION IS A REMARKABLE WOMAN NAMED ACASIA WEGNER. SHE IS KNOWN LOCALLY FOR HER ARTISTIC AND FRIENDLY NATURE AND FOR THRIVING AGAINST HEALTH ODDS. This entry was posted in Beauty and Fashion on April 26, 2018 by Gina Dewink. ONE ROCHESTER FAMILY HAS BEEN GETTING TOGETHER WEEKLY ON FRIDAYS AS LONG AS AYVA AND MAYA FOGARTY AND EMMA AND ABBY HESS CAN REMEMBER. THESE FOUR GIRLS WHO RANGE IN AGE FROM 14 TO 22 HAVE THE PRIVILEGE OF SPENDING A LOT OF TIME WITH THEIR MOMS, TRACEY FOGARTY AND HOLLY HESS, THEIR GRANDMA, BONNIE STEVENSON, AND THEIR GREAT-GRANDMA, MARGE BLOCK, BECAUSE IT IS A FAMILY PRIORITY TO SPEND FREQUENT QUALITY TIME TOGETHER. This entry was posted in Beauty and Fashion on April 26, 2018 by Emily Watkins Photography by Dawn Sanborn Photography.